Hello and welcome - beihoelzchens Webseite! In Hanover - Döhren, near the city centre and not far from the Hanover fair you will find our homelike Hotel & Restaurant "Bei Hölzchen". 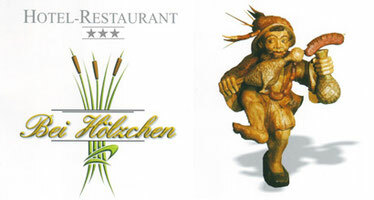 For more than 30 years "Bei Hölzchen" is owned by the family Raabe, who set up a place of perfect hospitality with cosy ambiance and hearty service. Relaxation and calmness could be found in our winter garden or within the romantic beer and coffee garden. An ideal place in the green to rest. In our hotel we provide a homelike atmosphere to travelers and fair visitors in modern standard. The hotel's location is a guarantee for shortest ways to all of Hanover's attractions through optimal transport connections.